Do you want something compact, with lots of style and more than enough space to stretch out? This nifty little studio might just be up your alley. You will love the decor – fashionable furnishings, high ceilings, and an all-white color scheme. Everything you need to live in style. We think it’s ideal for a young professional. With bars, boutiques, and restaurants nearby, you'll never run out of things to do. The kitchen is calling out for a real cook. You can walk to Parc Güell in just 10 minutes. “I loved this property. It’s in a really nice neighborhood with great public transport connections”. 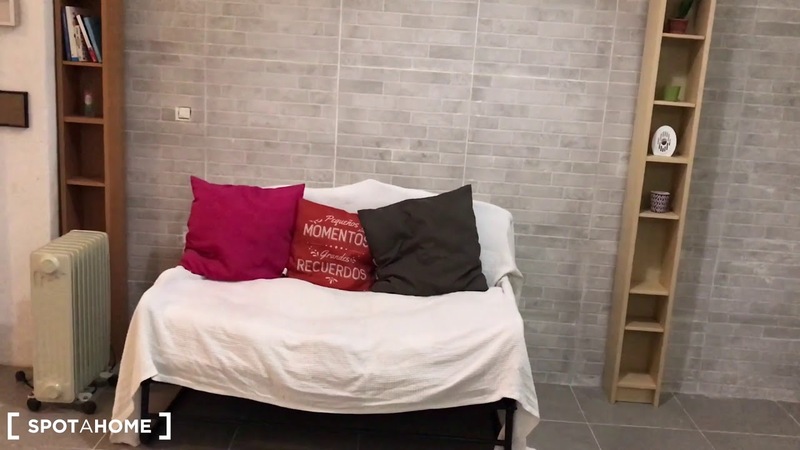 This is a neat studio apartment on Carrer De La Conca De Tremp, Barcelona. It has a lovely kitchen, cool decor, and it's surrounded by green spaces. We think this apartment is perfect for a single professional. Is your clutter getting you down? Get rid of it and start all over again. But this time with style. Soaking up the decor – less is more. Walking to Parc Güell – it's a must see.